From Disney Princess comes this plastic table cover featuring a border of Cinderella, Ariel and Snow White and more. 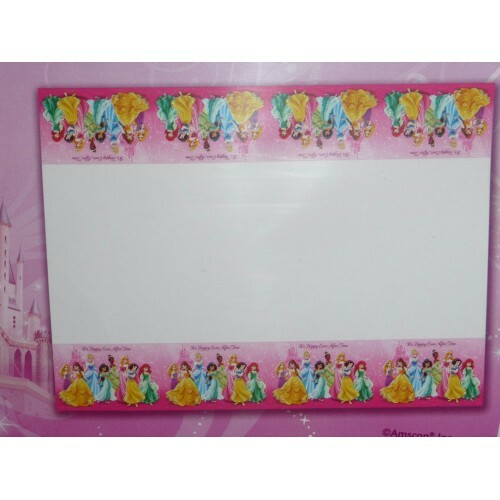 Perfect to decorate the table for that princess themed birthday party. Makes after party cleanup easy. Measures 1.8 metres x 1.3 metres.